The VA hospital at Togus is getting services of physicians Cameron McKee, Richard Morand, Clint Delashaw and William Weiss. AUGUSTA — Four surgeons from a busy medical practice in the city are leaving the area’s newest hospital to work at one of the oldest, the U.S. Department of Veterans Affairs hospital at Togus. Those leaving MaineGeneral Medical Center in Augusta for the veterans hospital are physicians Cameron McKee, Richard Morand, Clint Delashaw and William Weiss. All four have given notice that they will leave this summer. Hays said even with the departure of the four, MaineGeneral, which has 192 inpatient beds, will continue to have six general surgeons on staff and 50 surgeons in total. Hays said the hospital has the capacity to handle all the surgeries. The doctors did not return repeated messages for comment left at their office. Dr. Stephen Sears, chief of staff at the VA Maine Healthcare System, worked with several of the four doctors previously when he was chief medical officer for MaineGeneral Health, the parent organization of MaineGeneral Medical Center. Sears said the Togus hospital has a number of physicians who do surgery, including urologists, a vascular surgeon, another general surgeon, ophthalmologists, orthopedic surgeons and others. “We provide a broad array of surgical care,” he said. 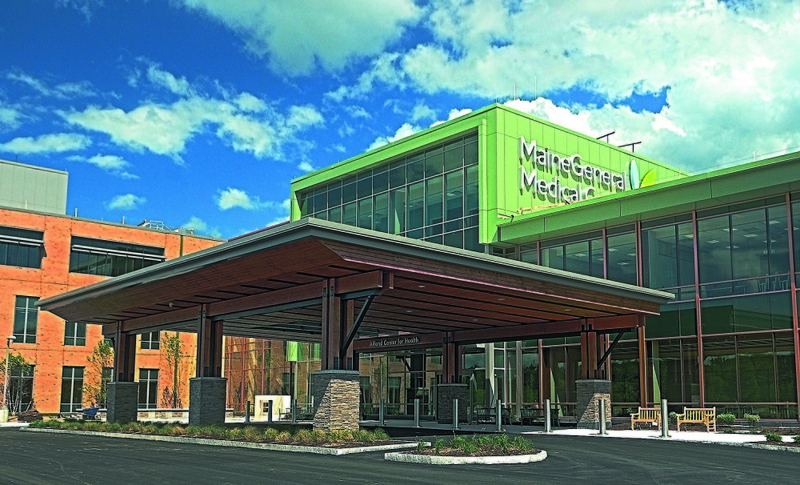 McKee, who has practiced in Augusta since 1993, was a strong advocate for building MaineGeneral Medical Center’s new consolidated in-patient hospital to help attract and retain doctors with specialized expertise. McKee was medical director of surgery at MaineGeneral Medical Center until January. Morand had worked with McKee when both were in the military and joined McKee’s practice in Augusta in 1999. Weiss too has military experience. Delashaw joined MaineGeneral in 2004 and Weiss in 2012. “It’s so sad and so terrible, I feel like I’ve lost my best friend,” said Betty Vigue of Windsor, who has been a patient of McKee and Morand for a number of years. She credits McKee with correctly diagnosing a disease she suffered from all her life. However, Vigue acknowledged that her husband, a veteran, could benefit from their services at Togus. The situation is similar to that in 2012 when four trauma surgeons left Central Maine Medical Center in Lewiston to join the staff of MaineGeneral Medical Center. They are physicians Carlo Gammaitoni, Kevin Price, Anita Praba-Egge and Ian Reight, and they are four of the six general surgeons at MaineGeneral now, Hays said. Among the chief reasons for building a new hospital in Augusta was to help reduce physician coverage requirements from two hospitals — one in Waterville and one on East Chestnust Street in Augusta — to one and recruit and retain primary – and special-care physicians. Results of an economic impact study, commissioned by the hospital 2009, showed that increasing numbers of area residents opted for care at more modern medical centers outside the Kennebec Valley region, and doctors are drawn to newer facilities where they can share coverage responsibilities with colleagues. However, the new hospital has had to trim staff since the Nov. 9 opening of its $312 million hospital which it named the Alfond Center for Health. In May, Hays said announced that the budget that MaineGeneral officials developed for the fiscal year that started in July eliminated 128 full-time positions, 16 of which were filled and the others vacant. Hays said only two of the positions involved direct interaction with patients, and most were in management. MaineGeneral has about 4,300 employees and a budget of $456 million for the most recent fiscal year. It is making $10 million in improvements at the Thayer Center for Health in Waterville, which will consist of outpatient care offices. The Togus campus opened in 1866 and is the oldest veterans hospital in the United States. Most of its buildings date to the 1930s and 1940s. The main hospital building, Building 200, has 67 beds for medical, surgical, intermediate and mental health needs, as well as a 100-bed nursing facility. It recently underwent a $5 million exterior renovation project.